Middlesex is a leading UK university with an international reputation. We've been nurturing talent for 130 years – and thanks to our commitment to innovation, we're still growing. We welcome students from all around the globe: there are currently 140 different nationalities represented at our vibrant London campuses. Polish students are currently enjoying the benefits of a Middlesex University education at both undergraduate and postgraduate level. Popular subjects include Business Management, Marketing, Human Resources, Accounting and Finance, Computer Science, Law, Psychology, Sport & Exercise Science, Music and Media Arts. And there are even more courses to choose from – which means even more opportunities for you to experience our world-class teaching, cutting-edge facilities and excellence in research. Whatever you study, our focus is on preparing you for your chosen career in today's competitive jobs market. That's why most of our courses include opportunities for internships, part-time work experience and international exchange. Our Europe Regional Team offers a personalised service to students from Poland, answering any questions you have about our courses, entry requirements, student life and more. We often visit schools, colleges and education fairs in Poland. For a schedule of all our upcoming international visits see our international fairs page. Our official representative for applicants from Poland is Dr Marta Wlodarczyk of Episteme Educational Placement Services. 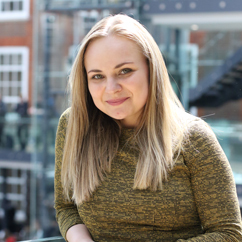 Dr Marta Wlodarczyk can answer any questions you have about studying at Middlesex University and support you throughout the application process. Episteme bezpłatnie organizuje studia na Middlesex University London, pomaga w staraniach o pożyczkę na czesne oraz wszystkich innych kwestiach związanych ze studiami na Middlesex. For entry to most undergraduate courses, you must have completed the Swiadectwo Dojrzalosci / Matura, with an overall score of 60% and above from Matura. Students must also meet our standard English Language Requirements. We accept the New Matura as evidence of your English language ability with minimum grades of Oral - 65% and Written - 75% (basic) or 60% (extended) required for most undergraduate programmes. If you don't meet these, we offer a Pre-sessional English course. For most postgraduate courses, you must have completed a good Bachelor Degree, equivalent to a British second-class Honours Degree. What made you choose Middlesex University? When I came to the Middlesex Open Day I was really impressed with the modern campus. I felt that this was a place that was clearly investing in its future. Then I met some of the Student Ambassadors who showed me around the campus and after having a very friendly chat with them I knew I would fit right into the student life at Middlesex University. What attracted you to your course and made you apply? Well I would say after meeting my potential tutors and then course leader I felt assured I would get the support I needed. Furthermore, not many universities in and around London offer a BA degree both in Interpreting and Translation in one single course, this was a key factor for me choosing Middlesex. What aspects of your course do you enjoy most? After I started my first year I found out that I could practise Conference Interpreting in real-live interpreting booths which are available at the university. We have also created our MDX Interpreting and Translation Society and this year we are going on a trip with our tutors to Brussels, where we will experience a real Conference Interpreting practice at the EU Parliament. What is it like being an EU/international student at Middlesex? As easy and enjoyable as can be! MDX is so multi-cultural and multi-national that you never feel like an outsider. You can learn so much about other cultures and meet many interesting friends from all over the world. It’s very handy if you want to travel around the world. What is your fondest memory of life at Middlesex? General student life! But probably my fondest memory is working as a Student Ambassador. In the role I could spend time with my friends and get paid for it! One of the reasons why I decided to work as a Student Ambassador was to take part in the many events organised at MDX which are a great opportunity for networking with other people. It’s never too soon to start building up your future contacts! What one piece of advice would you give to a prospective student interested in studying at Middlesex? Go to Uni Hub and don’t be shy to ask any questions you might have! People who work there can really help you and provide great advice. 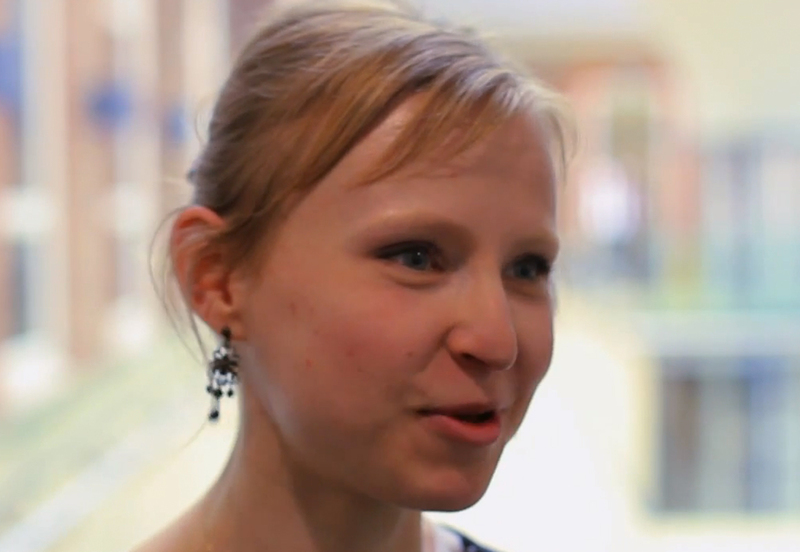 What advice would you offer to international students thinking of coming to Middlesex? If you have the opportunity to study in the UK, do it! It’s very advantageous and it will look great on your CV! What is the attraction of coming and studying in the UK? It will help you to improve your English language skills and become more confident! By doing so, you will make the most interesting friendships that could last forever. I would love to carry on working for Middlesex University as a Student Ambassador and hopefully after graduation I could become a Graduate Teaching Assistant and start building my career as a freelance Legal Interpreter. Would you recommend Middlesex and why? If you want to broaden your horizon, become more independent, learn new skills and meet great friends MDX is the place for you!